Something about fresh squeezed juices loaded with vegetables and fruits is so delicious to me! It took awhile for me to get used to the "green" flavor in some but since I got used to them, I love them. I was recently sent these juices from Urban Remedy to try. Something neat is that they don't just have juices, they have many other products including coffee, shakes, nut milks, snacks and salads. -Mint cacao chip shake- This shake is so good! It tastes like a mint chocolate chip milkshake but is actually full of healthy ingredients. It has 290 calories so I would say either have it for a meal, a post-workout filling snack or have 1/2 of it for a normal snack. Ingredients include spinach, banana, cashews, almond milk, protein, vanilla, cacao nibs, spearmint and stevia. That's it! I found this to be filling and very tasty. It is kind of chunky from the banana which I enjoyed. -Shredded kale salad- This salad made an awesome side dish to my meal. It is full of kale, romaine, cucumber, carrots, cabbage, shredded beets and hemp seeds. It comes with a fresh and flavorful garlicky dressing that my husband and I enjoyed. I never thought to put long strands of beets on a salad and I really liked it like this. That way, you did not get too overwhelming of a beet flavor at once. This is something that I would definitely recreate at home. -Banana brittle- Holy moly is this delicious! This brittle consists of crunchy pieces of goodness that tastes like a super ripe banana and coconut. These are 100% raw and gluten-free. I really enjoyed them! 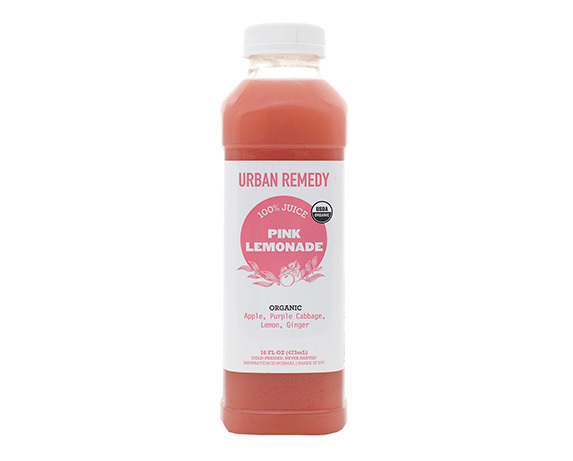 -Pink lemonade- I thought it was super clever to call this beverage pink lemonade which is a much healthier version of your typical lemonade. It contains apple, ginger, lemon and purple cabbage. Yum! -Cold brew light coffee- I did end up adding a bit of sweetener to this coffee because I thought that it was a bit strong for my taste but I very much enjoyed the creaminess of the almond milk. 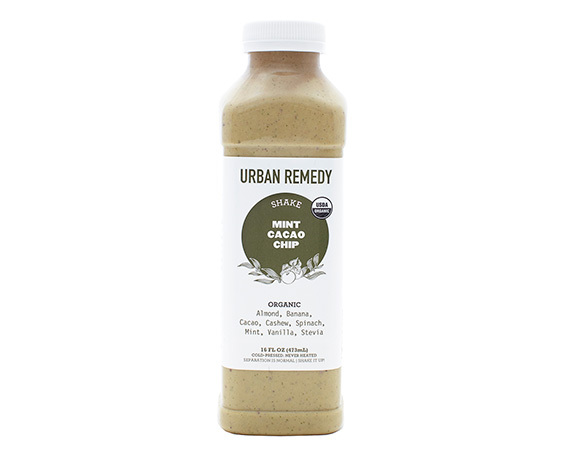 If you are on the search for very healthy drinks, snacks and meals that taste great and are organic, I would definitely recommend Urban Remedy. The giveaway will be for a mixture of Urban Remedy organic juices, snacks and book!! Their juices & shakes sound so good! Really want to try the Green Berry shake for it's immune function benefits. I wouldn't mind trying the Beet-A-Licious drink. I love beets! I need that ginger brittle in my belly ASAP. Yum! I like all of them and I want all of them!!!! It was a tough decision, but I would try Boost Lemonade first. I've had a rare cranial nerve disorder for the past three years, and have undergone three failed surgeries - one a flawed brain surgery- and over 30 nerve blocks, but nothing stops the constant, stabbing pain in my right ear. The anti-inflammatory benefits would help my swollen knee- a new condition likely related to my mild cerebral palsy. Thanks for this fantastic giveaway! I would love to try the Pink Lemonade. YUMMY!